hd00:05Colorful Umbrellas On Black Background. Loop able 3DCG render Animation. hd00:17Pan of colorful umbrellas in the sky. Street decoration. Slow motion. hd00:09The street is decorated with colored umbrellas. Umbrellas in the sky. The sun breaks through the umbrellas. 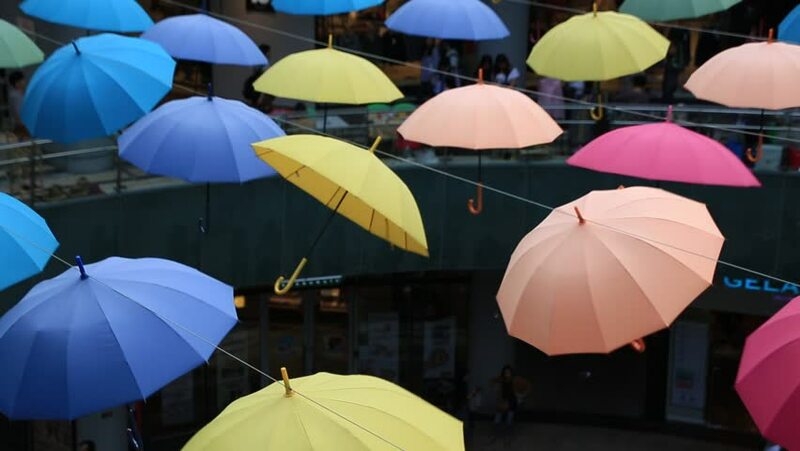 hd00:27The street is decorated with colored umbrellas. Umbrellas in the sky. The sun breaks through the umbrellas.